For their 10th wedding anniversary, our Kids Collection Editor Nadine and her husband Colman were keen to escape without the kids for once. And to a destination neither had visited before. Somewhere dramatic, elemental and wild, yet easily accessible from the UK. So Iceland it was. 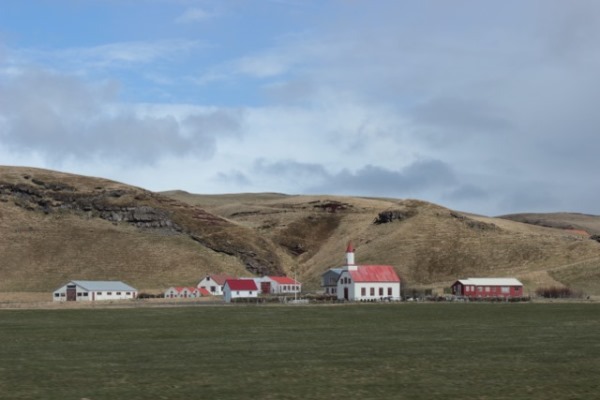 A young country – both in terms of geography and human settlement – whose position astride the North Atlantic Ridge brings fire, and whose latitude just beneath the Arctic Circle brings ice. 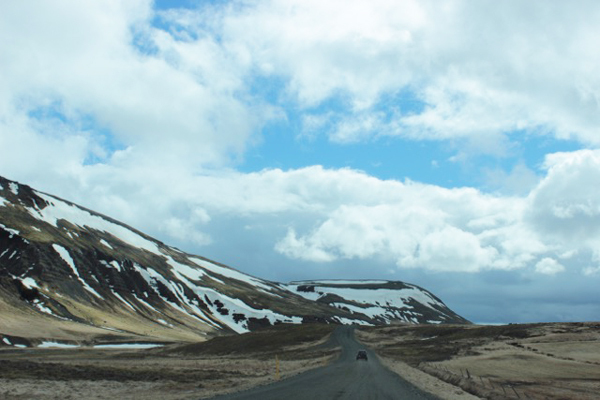 We descended through steel clouds to land at Keflavik, Reykjavik’s international airport, which is a 45-minute drive through a barren, rocky landscape from the city. Snow-capped mountains loomed in the distance, and the skies were huge (in part due to the lack of vegetation; only 23% of the country has trees following extensive deforestation since humans arrived in 874AD). 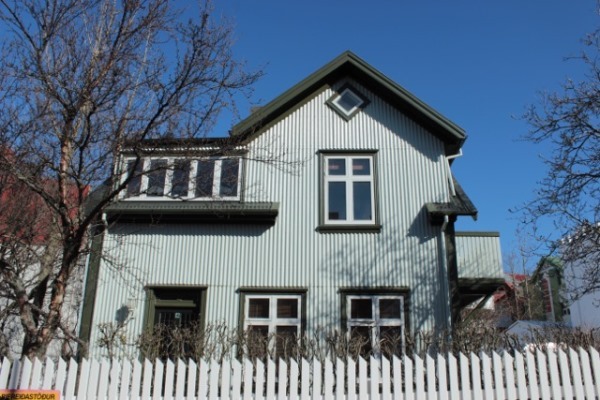 Our first lodgings, Reykjavik Boutique Apartments, sit in a quiet residential area of the city’s historic centre. Engaging owners Gunnar and Hallabara, a photographer and interior designer, jumped at the chance to acquire this century-old property, converting it into 3 stylish apartments plus a 2-bedroom cottage to the rear. They and their daughters live in the largest apartment and welcome visitors from all over the world to the others. 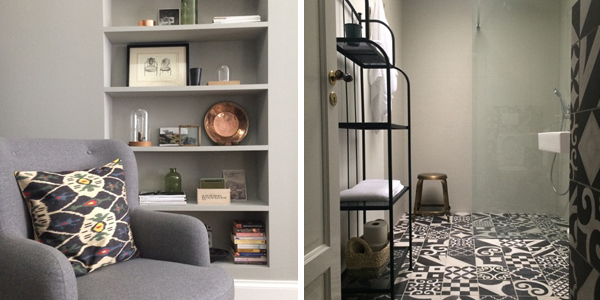 Their Nordic-noir colour palette beautifully offsets contemporary design and vintage finds; we found tableaux worthy of a photoshoot at every angle. For our first romantic meal, we took a 5-minute stroll to the sleekly minimalist 101 Hotel, which overlooks Reykjavik harbour. Considered Iceland’s best boutique hotel, it features striking local art, a roaring fireplace, and chairs made from horse hide. 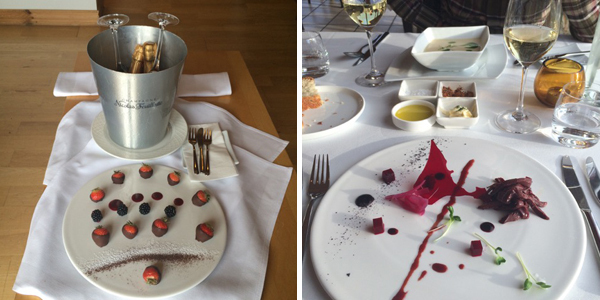 We dined on cod skin and beetroot crisps, the freshest of fish, a smorgasbord of salmon, and langoustine soup. After a blissful night’s sleep on crisp linen (the black-out blinds were very much required given the summer Arctic light), we explored the city. 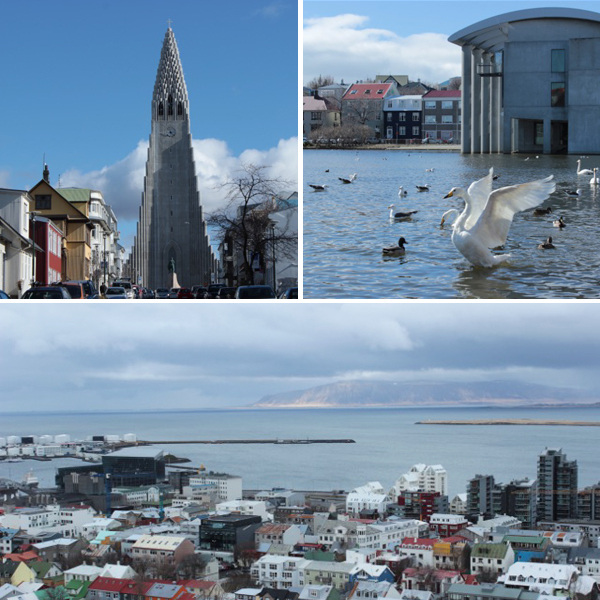 We took in the harbour, the Harpa concert hall, Tjornin lake (which teems with birds) and the main shopping streets. We also visited the striking Hallsgrimskirka cathedral; its airy, expressionist interior is attractive, but folk flock here to ascend the tower and gaze at the panoramic views across Reykjavik, Faxaflói Bay and the imposing mountains beyond. 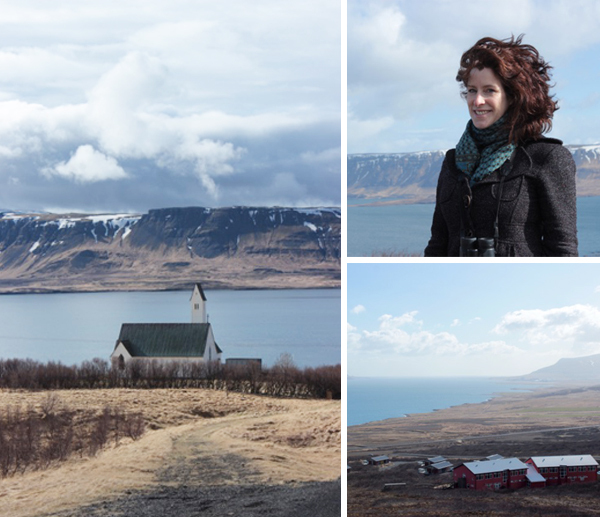 Our next stop was the spectacular ‘Whale Fjord’ (Hvalfjordur) and Hotel Glymur, an hour from the city and a world away. This quirky hotel, a former school, has a restaurant with picture windows; below are 6 corrugated-roofed ‘villas’ for couples or families. We lost no time in hopping into the hot tub, luxuriating in the long vista along the fjord to the snow-covered hills opposite. We also ate in abundance (the breakfast buffet is something to behold), strolled through wiry purple heather, spotted ptarmigan, snipe and Arctic fox, and rested. 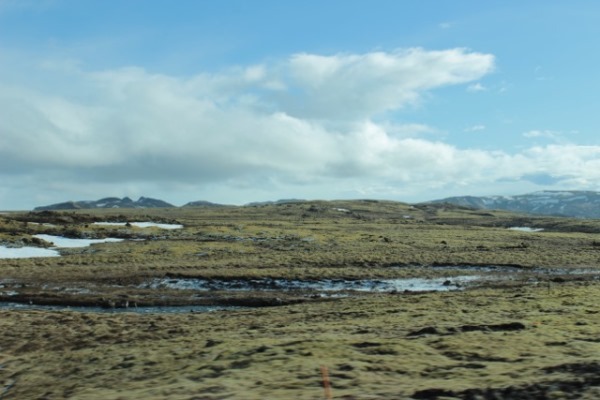 The next morning, in steady rain, we headed south-east across rugged open country to the famous Golden Circle, which takes in Iceland’s most iconic sights in one hit. 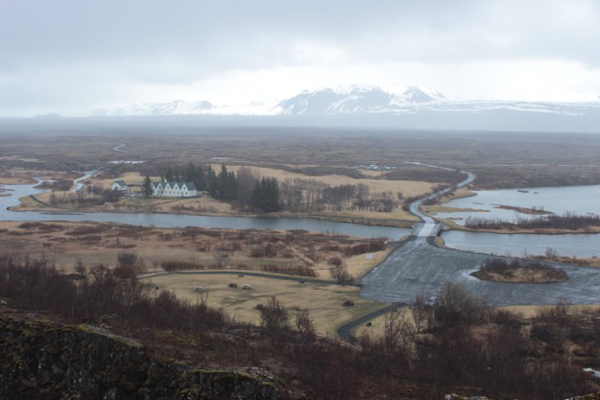 Thingvellir National Park is both a geological wonder (a widening rift valley beside Iceland’s largest lake) and a historical site (the world’s first parliament convened here in 930AD). 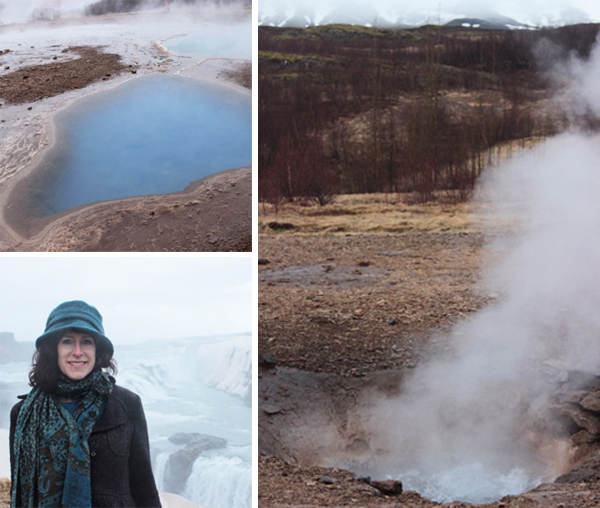 From here, it was a half-hour drive to Haukadalur, where colourful hot springs, sulphur-smelling fumaroles, bubbling mud pots and geysers are found. Eponymous Geysir itself rarely erupts now, so smartphones are trained on the far more reliable Strokkur (every 5-10 minutes) instead. Dodging the now incessant rain, we piled back into the car to reach mighty Gullfoss waterfall. It certainly didn’t disappoint, although by now the damp was permeating every pore, including the camera. From Gullfoss, we made our way to Hotel Ranga in the south of the country, to be welcomed with champagne and chocolate-covered strawberries in our Deluxe Room. 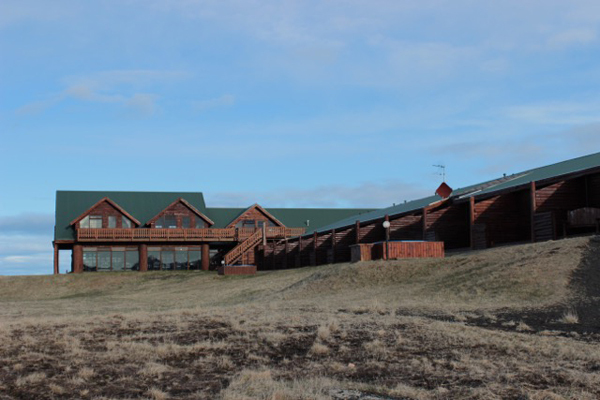 This riverside lodge is renowned for its food and the range of exciting activities available, from Icelandic pony-trekking to helicopter tours over live volcanoes. 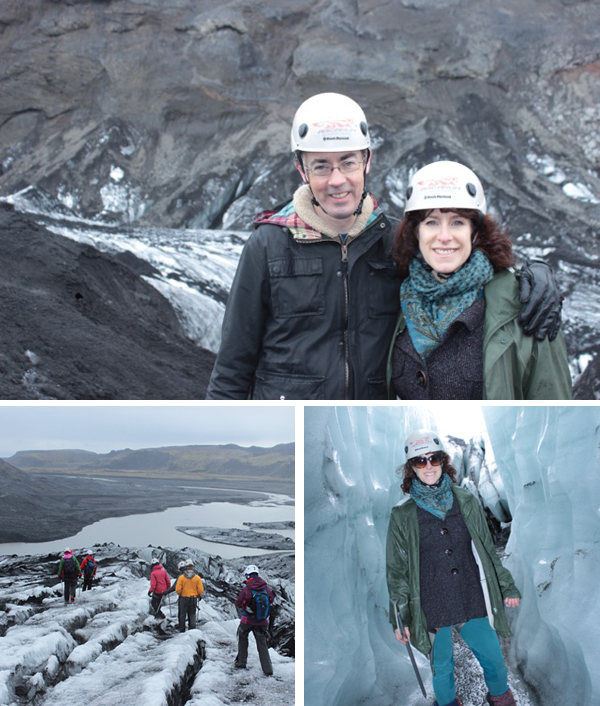 Somewhat less adventurously, we visited a local folk museum, walked on black-sand beaches, marvelled at the power of the Eyjafjallajökull volcano (yes, that one), and went glacier hiking. 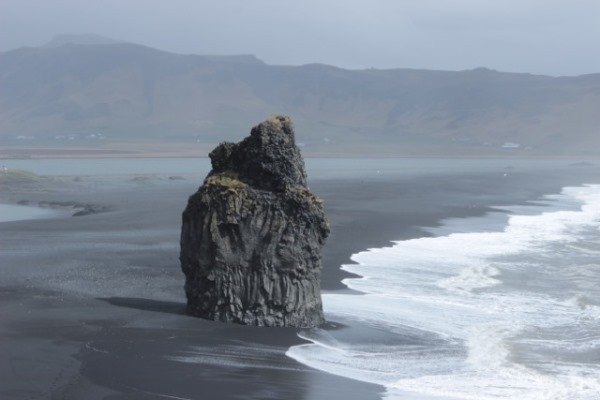 Glaciers are distinctively sooty in Iceland, as the ice gouges out volcanic rock. I asked the guide if he’d seen Interstellar; “Yes,” he smiled, “it was filmed here”. Equipped with ice picks and crampons, we abseiled a short way to explore an ice cave, and admired the desolate landscape as we meandered across the shrinking ice cap. 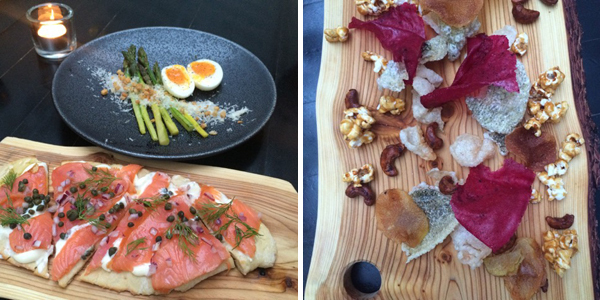 That night we dined on smoked puffin, Arctic char with fennel, salmon with a watercress sauce, berries and birch schnapps. And when we finished with a nightcap in the hot tub at 11pm, it was still light. 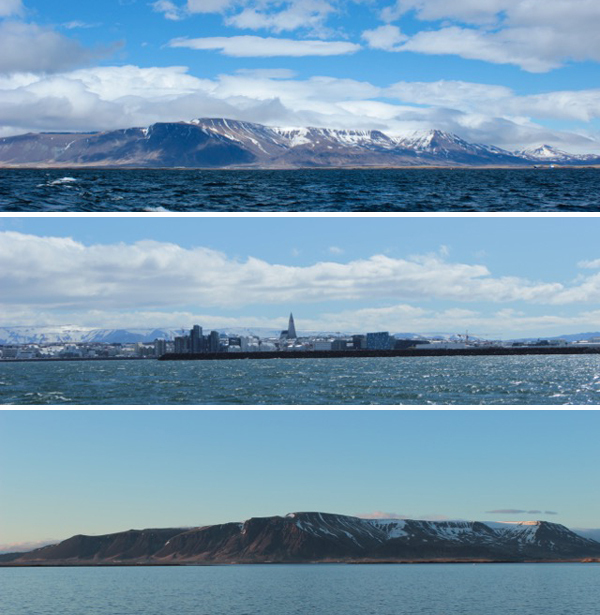 Our final 24 hours was spent back in Reykjavik, and the sun shone all day! The city, harbour and bay simply glowed. 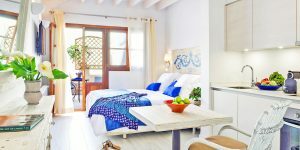 We stayed downtown in adorable turn-of-the-century Architect’s Cottage, which has 2 bedrooms, original wood-panelled walls, and charming woollen throws on super-comfy beds. We took a puffin-spotting boat trip into the bay, and sighted one swimming by the harbour entrance. The views back to the city were superb. 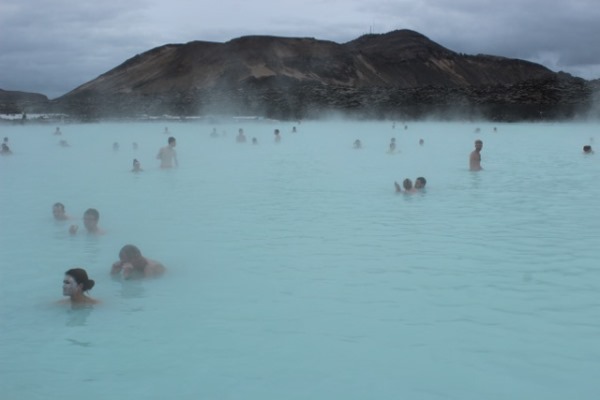 On the way to the airport to fly home, we decided to end our trip by enjoying the Blue Lagoon – a huge set of hot springs with naturally heated water. Did we miss the kids? Now what do you reckon…?